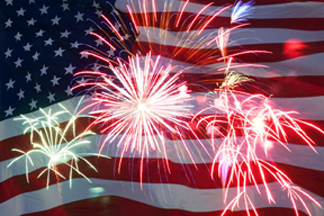 As we approach our annual Fourth of July celebration, major historic world events continue to unfold which may be signaling an Independence Day like no other is about to occur. On Wednesday evening, June 27, 2012, major breaking news lit up blogs, chat rooms and alternative news media sites across the internet landscape. It originated from a source named Drake, a purported Pentagon liaison who for months has been reporting of impending mass arrests of the major players in the world's dark cabal is imminent. Drake has proclaimed himself to be a quasi-spokesman for a burgeoning group of Pentagon white hats rumored to be extremely close to unleashing plans to rescue our country, if not the entire human race, from a complete New World Order take over. He further claimed that as much as 80% of the Pentagon is on board with these plans. Over the past three months, Drake has become both a folk hero sensation and controversial figurehead after an exclusive interview with David Wilcock went viral over the internet within days after its release on March 28, 2012. Admittedly, many of his followers, including Drake himself, had been growing increasingly frustrated with the military's apparent lack of action regarding these rumored arrests, despite a number of deadlines that came and went. This has generated a fair share of criticism towards Drake and his folksy, Southern way of communication. Granted, he has frightened some with talk of executions and military intervention, which was followed by his belief of the direct involvement by extra-terrestrials into the equation. However, on the night of June 27th, Drake arrived in a celebratory mood armed with a series sensational reports he had just received. Upon entering the radio broadcast, he confessed he could hardly contain his enthusiasm due to the "extraordinary intel" he had been given over the last few days which he claimed came directly from high levels within the US military. He termed it "enormous" and was anxious to deliver it all to an eager audience. "What I am going to tell you is going to rock your world a little bit," he prefaced his comments before delving into the meat of his breaking news. – A) "The calvary is coming", or in other words, the military is set to strike and are announcing their arrival. – B) Should the military need assistance with the mass arrests and the protection of vital public services (ie, power plants, telephones, cell towers, etc. ), the militias and civilians will be notified. However, the military stated they likely will not need militia or civilian participation. – C) "The United States military says 'sit back and watch the fireworks.' Ladies and gentlemen, they are gonna try to give us the best 4th of July we have ever had! In other words, the cavalry is on its way, things are in process, the happening is happening now!," Drake concluded. For weeks, Drake had promised to inform his followers when the military had arrived at what was termed a "green light status" and for all intents and purposes that is precisely the overall message he delivered. He acknowledged the lack of action he had anticipated in the past and suggested this time the military is deadly serious. He even went so far as to claim he was informed of the exact date action would officially begin and stated the time frame would be "this week" or at the latest by July 4th. "I have been working on this stuff for twenty years and it's finally happening," he declared. He also reported that spies within the recent Rio+20 Summit (United Nations Conference on Sustainable Development) from June 20-22, 2012 in Rio De Janeiro, had leaked vital information that members had agreed on the formulation of a global constitution that would directly lead to the implementation of Martial Law in the US and other countries. The Rio+20 was disguised as an environmental symposium but rather intended to draw up strategies to enact oppressive and costly "green tax" laws, known as Agenda 21, to be administered by the UN. Agenda 21 was to be the final push for the New World Order agenda hammer to drop down upon the US population. Instead, the conference organizers failed miserably in the objectives as revealed by Lord Christopher Monckton. Yet, nonetheless, Benjamin Fulford reported that $513 billion was pledged by 100 nations to fight poverty and environmental destruction. In conjunction with those leaked reports, it was discovered that as many as twenty false flag operations had been planned around the country with the possibility of St. Louis, Missouri first on the list. Highly visible military maneuvers have been rumored to be underway in that city during this past week. However, Drake reported that 99.9% of these false flag operations thus far, have been outright stopped but a very, very small percentage have yet to be neutralized. He also briefly commented on the Neil Keenan lawsuit against the cabal on behalf of the White Dragon Society and Asian resistance movement. In addition, Benjamin Fulford reported that intense negotiations are well underway for the formal surrender of the New World Order legion directly with Rothschild, Rockefeller and other prominent family cabal members and the White Dragon Society. Word emanating from a recent G20 Summit in Los Cabos, Mexico on June 18 and 19, 2012 indicate that China was quite forceful in their insistence of the introduction of a new economic system. Historically, the Chinese people are keenly aware of the importance of energy or "chi" (also known as "qi") in daily life. Therefore, their philosophical viewpoint is that a business deal should work in the best interest of both sides, unlike the West, where deals are often constructed around the idea of a winner and a loser. Notice this quote from the June 21st China Daily news article on the G20 Summit in Mexico: "(Chinese President) Hu (Jintao) pointed out that the G20 members have to continue to uphold the spirit of unity and win-win cooperation, work on securing growth, increasing jobs and promoting stability." Very prophetic words, indeed, signaling that a wholly new cooperative spirit is being forged that will carry long into humanity's future. On other fronts, financial institutions all over the world are finding their usual practice of stealing from the pockets of the people is simply no longer working. They are being caught red handed as in the case of Barclays bank in England who are accused of rigging interest rates. A further 20 banks are now under investigation for running the same fraud racket. The big five banks in the US –– Citigroup Inc., Bank of America Corp, JP Morgan Chase & Co. and Morgan Stanley –– have drafted "living wills" under provisions of the Dodd-Frank financial reform law designed to end too-big-to-fail bailouts by the government. This likely due to the stipulations of the Basel II and Basel III accords which require financial institutions to operate in a much more transparent mode in preparation for a whole new financial system. Even cable news channel CNBC got in on the act, openly admitting on air that the central banks of the world entrap the human race as virtual economic slaves. Bear in mind, what a startling admission this is by a mainstream news outlet. Meanwhile, mainstream news ratings continue to be in a free fall as viewers shun corporate controlled information sources in record numbers and seek out alternatives on the internet. CNN, for one, has seen a major drop-off in viewership that reached a 21-year low. And one last bit of ironic news, British bookmakers are offering 1000-1 odds that a UFO will appear above the opening ceremonies of the Summer Olympic Games in London on July 27, 2012. Let's hope someone wins that bet! Obviously, this is all adds up as fantastic news. Whether Drake's schedule of events is to unfold as he has outlined remains to be seen. Yet, we can conclude he is on target regarding the need for a strong military hand to be intimately involved in this process. The bottom line is we must realize that we, as a species, are in a war. We are in a war for our hearts and minds. The world as a whole has now reached a critical junction. It is ready –– or perhaps more apt to say, demanding –– to evolve to the next level. On the one hand, an old way of life, or an old paradigm is desperately hanging on for its very existence. On the other, a whole new glorious world is emerging right in front of us –– a Golden Age, if you will. One of the main obstacles standing in the way of our evolution is an insanely draconian and corrupt economic system. It has held the people of Earth in a state of slavery for as long as money has been around. It has reached the end of its life span and now must be quickly put to death. Make no mistake about it, the so-called financial crisis holding the world hostage has been totally engineered by the international banking cartel, the Federal Reserve and their co-conspirators within the US government and European Union. It was designed to wreck the world's middle class thereby destroying the US and other countries from within. Fortunately, a very powerful resistance movement has emerged led by China, Russia, India, Brazil and South Africa (BRICS), along with many other nations who have aligned themselves with them. Now the US military is about to enter the fray in a major way. We have reached a critical point in our collective evolution where we must expand ourselves. We must grow up. The powerful families who run and own the world's monetary system are desperately holding on to their authoritarian positions are very, very reluctant to let go. They have outlived their usefulness. It is time for them to step aside and allow humanity to thrive. The criminal cabal's time is up. The world is demanding change and the Divine has heard the cries and pleas of the people and is answering their collective call from the very source of the Creator of all life in the universe –– the Divine Father. 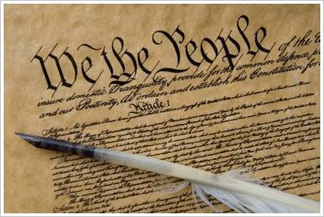 This is where the US military arises to the occasion to truly become the heroes many have believed they are and honor their constitutional oath of enlistment "to defend the Constitution of the United States against all enemies, foreign and domestic." Other than a force of ET's, the US military is the only entity on Earth that can pull together the resources necessary to stop the cabal dead in their tracks. And, it is highly likely that the military has had the cooperation of a number of ET factions. At this point, the military's duty is to identify the key people in the cabal, carry out the arrests with assistance from local law enforcement and Federal Marshals, incarcerate the criminals and install a temporary transitional government for a short period of time until new elections can be held. Then, a massive re-education campaign will be introduced over the television airwaves and internet channels to reveal the truth to the people of the world. Somewhere within that complex scenario a new monetary system will be unveiled including a revaluation of most of the world's currencies, the obliteration of the Federal Reserve, IRS, BIS, European Union and many, many other corrupt institutions. Clearly, this is an enormous undertaking, beyond anything ever attempted in the history of humanity –– ever. The military needs our prayers and support. This is NOT to be Martial Law nor a military takeover nor a violent revolution by any means whatsoever. Although, we have to acknowledge when it gets rolling, at times it may appear that way. Unfortunately, for the last 100 years, the United States military has been used as the supreme police force to enforce the voracious and powerful New World Order agenda. 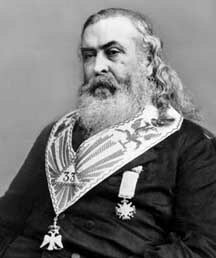 These plans were formulated right after the Civil War, chiefly by a former Confederate General named Albert Pike, who was nothing less than a 33rd degree Mason, a top leader in the Knights of the Ku Klux Klan and an unabashed Luciferian. It has been rumored that Pike possessed a special bracelet which he used to summon Lucifer, with whom he had constant communication. He was the Grand Master of a Luciferian group known as the Order of the Palladium (or Sovereign Council of Wisdom), which had been founded in Paris in 1737. Pike's evil plan called for three great world wars to totally dominate and conquer the planet –– World War I, World War II and now the so-called "war on terror," which has been designed to lead us directly into World War III, if we are not there already. The objective was a final Armageddeon-style battle in the Middle East pitting the US, Russia and their allies against China and the Asian continent, all in the name of some warped view of Biblical prophecy. In order to stop the New World Order take over from being fully implemented, we quite frankly need the US military to play a major strategic role. Their apparent bold decision to basically switch sides is absolutely key to the liberation of planet Earth. The US military will provide the ultimate trump card to the One World Order envisioned by Pike and his Illuminati and Jesuit conspirators. And that trump card is about to be played –– big time! The best way to deal with all of the news of mass arrests, a new economic system, etc. is to remain as optimistic as possible with the understanding that timing is everything. Regardless whether Drake has given out the correct dates or not, there is no doubt that the planet and the human race is deep within a rapid transformation into the Golden Age. Guaranteed. It's a done deal. It is step-by-step process well underway and the signs are everywhere. All that is required is to maintain a positive attitude and recognize the monumental steps that are being taken. At this point down the rabbit hole, all that remains is an essential critical mass point when enough souls on the planet believe in their hearts that a new world is not only possible, but is here –– now! In India, they are carefully counting the numbers and documenting the critical mass milestones. 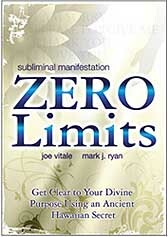 On June 21st, the Oneness University released statistics that indicated there are now 40,000 enlightened beings on the planet. The critical mass point they are striving for is 70,000 enlightened beings which will be the optimal number to shift all 7 billion inhabitants of planet Earth into a higher dimension also know as the Golden Age. This is targeted for the end of the year 2012. There will continue to be timely updates, each and every month, throughout the remainder of the year to offer the evidence that the human race is very rapidly ascending to a higher state of consciousness. These numbers will rise dramatically with each passing month and well into 2013, 2014 and beyond. In summation, your light and your prayers are vital. 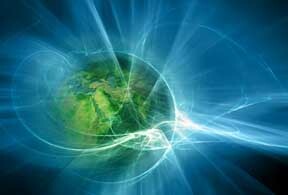 The more we can envision and embrace a glorious new world for humanity, the more it will come into fruition. 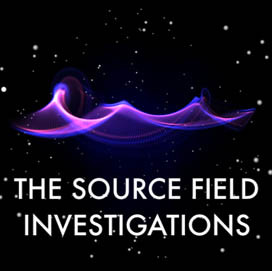 Although you may not believe in the information coming from Drake, David Wilcock, Benjamin Fulford and others like of their ilk, that is necessarily not important. Should July 4th come and go without a mass arrest scenario, fear not –– eventually that expected event will come. Yet realize this –– as a collective, we are on the path towards our total and utter emancipation. It is within our grasp. It is our destiny. Believe in it. See it. Breathe it. Taste it. Touch it. Love it into being. Feel it take over your heart and your entire being. Heaven on Earth has arrived and it is banging on your front door. Do you hear it? Are you going to get up and answer the door? Are you going to let it into your home? May I suggest you do. Or you just might miss out on the Mother of all Independence Days ever! Let us pray it is so. Okay, Drake appeared on his facebook page, Global Voice 2012, today. Here is his message. Note that he will be on his scheduled radio show tomorrow, July 4, at 6 PM Central time. See link below. What great imagination and drive! we figured to find all that away from home. Drake Kent is the name I am using for posting on here. And yes, I do have security watching my house. Seems like a lot of people would love to get their five minutes of glory, an all that. This ain’t gonna happen, just yet. One does have to know what they are seeing, understand it, and know how it fits into our efforts. What is going on is that the communications and financial connections are being cut. Does anyone think that Soros and Trump being charged with RICO violations is unimportant? And soon the banks will be closed…their banks. As for those who are so hard after their five minutes of glory, it has been decided that each of you will be given exactly that, five minutes…no long speeches/statements, no legal dissertations, etc. There is some news as to continuing efforts by our patriotic military. Communications will remain as they are now, a specific chain of trusted people who can accurately forward info. This is the best and most secure way to do this at this time. I started out as an information relay. This was turned (not by me) into a sort of information command. The last stages of ALL this are just beginning now. I have offered (again) to serve in capacity as the tactical sees fit, and am willing to do as much more as the rest believe I can handle. I have the best team I could find on the planet, and some are already involved at different levels and in differing ways. I will make an announcement concerning mass arrests and other things on the show. Take the time to digest the info above, and listen in. 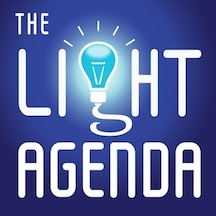 In case you may have missed it, at about the same time Drake was delivering his new updates around 6 PM CST, Scott Mowry was appearing on The Light Agenda radio show with host Stephen Cook on Wednesday night, July 27th at 9 PM EST / 6 PM PST. The show was recorded, archived and can be listened to below. Here is Stephen Cook's synopsis of the interview. Further information can be found in our News article, Scott Mowry Appearing on The Light Agenda Radio Show with Host Stephen Cook on June 27. The "Green Light": Wouldn't It Be Nice? GREEN LIGHT IS ON: Current Update: Breaking News, America! Drake confirms it’s ON!